In all times The Ultimate Fighting Championship has been looking for the young and fresh prospects. The Championship has probably never been bigger, what might mean there are even more bright fights to put on what in its turn means more fighters are required. If you are a young and promising lightweight fighter wishing to make a big name for yourself, you’d probably want to consider doing what Lando Vannata has already done. The man almost had lightweight Tony Ferguson in his absolutely stunning UFC debut and later knocked out John Makdessi with a groundbreaking spinning wheel kick. With a performance he tends to be demonstrating, the UFC booked Vannata with an insidious veteran Makdessi. Lando flattened his opponent with a simple, but powerful wheel kick in a matter of seconds reaching for the “Knockout of the Year” candidate. Many people bet on it on ratingbet.net. The future appears to be looking bright for females’ strawweight Alexa Grasso. Grasso had previously competed for all existing local promotions in Mexico before making quite a jump to Invicta FC. This tough lady has won three straight bouts and keeps her unbeaten status intact. In 2018, we might finally stop calling Yair Rodriguez a young prospect and start acknowledging the guy as a real contender. Rodriguez aka “Pantera” has battled five times within the Octagon and managed to walk victorious out of all those fights. The long road could eventually lead Yair to gold, but as for the moment Rodriguez should focus on upgrading his skills and performance. Since Francis debuted in the UFC in the late 2015, the entire MMA world has definitely taken notice of the fighter. Literally in all of the man’s professional victories, Ngannou had taken over his opponents. He currently has five knockouts along with four submissions. Without a single doubt, all English MMA fans have plenty to look forward to with their uprising compatriot Marc Diakiese. Marc has already passed two really tough tests, but the things will only get harder for the lightweight. Diakiese might want to consider taking some more time for his return to the Octagon. It seems he just got done putting up fights twice in two months. South Korean bruiser made his triumphant UFC debut back in November 2014. In fact, it only took 18 seconds for the “Korean Superboy” to starch Juan Manuel Puig. Later on, Choi went on and knocked out Sam Sicilia together with Thiago Tavares in his next two bouts. Both of them ended in the first round. 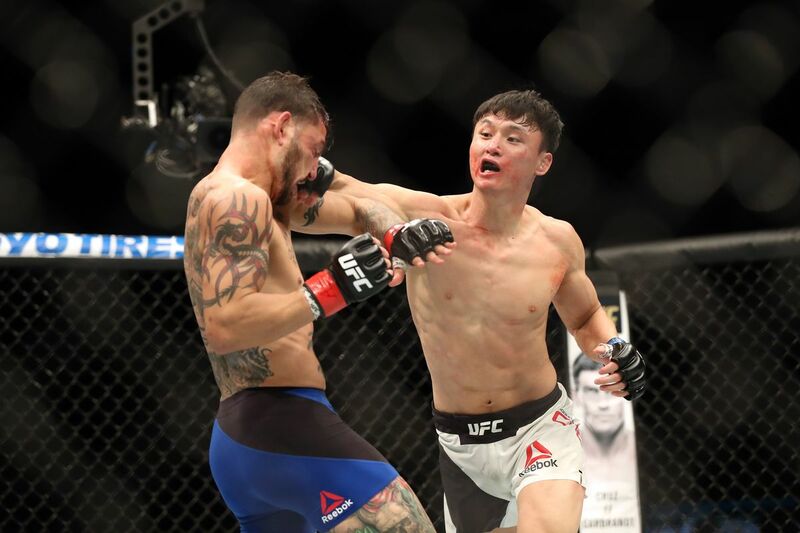 Despite the loss, the fighter was praised for his true iron chin and heart as there wasn’t even a single moment in his fight where Choi looked like he was giving up. Doo Ho Choi stands out as he is only 26 and certainly has plenty of fights ahead in his career. With some deal of polish, it is not too far-fetched to finally see the “Superboy” with championship gold one day.